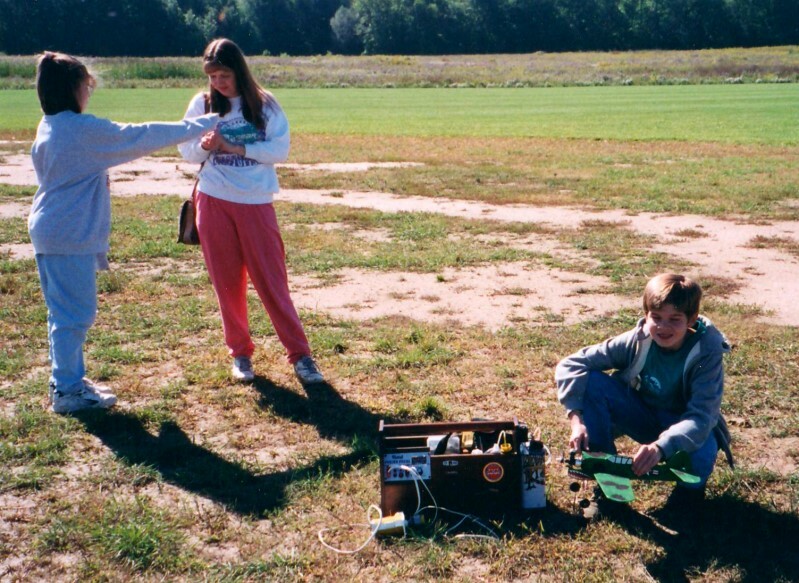 The photo to the left shows my son, Philip Blattenberger, with his P-40 Warhawk profile C/L in Melbourne, FL, in the springs of 1996. It had our standard Cox Black Widow .049 engine on it. 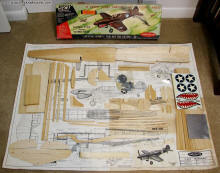 The image below is of my Top Flite P-40 Warhawk control line airplane kit that I bought on eBay. 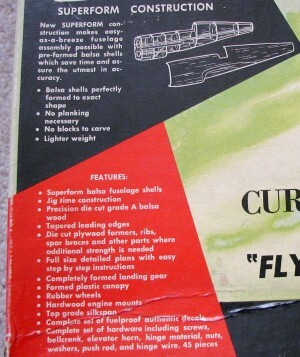 I have checked all the parts against the plans and everything appears to be present. The fuselage halves are molded 1/16" balsa, which minimizes the work needed to shape its compound curves. Building this P-40 Warhawk as an electric-powered scale project would be a good option. Modern brushless motors and LiPo batteries equal or exceed nitro power. Thanks to Marcin O. for letting me know about these free CAD plans from The Profili website. Download a free DXF File Viewer from SolidWorks. 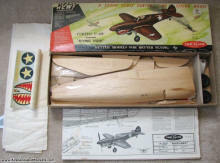 Type "P-40" into the "By name" search box.